Brexit: What next for markets after EU Brexit bill approval? Over the weekend, the EU gave the UK’s Brexit deal the greenlight. It was a task Angela Merkel described as one of the hardest of their lives, but Theresa May still has the task of hers as she now attempts to get the deal passed in parliament. In a notable change in rhetoric from the EU, policy makers from the bloc stressed that there is no going back to the negotiating table – save from a few vanity tweaks. There are now three options in front of the UK: Take the deal, Leave with a No Deal, Remain in the EU. A parliament vote is now in the diary for 12 December. This gives the Prime Minister and her whips just over two weeks to get the support she needs. May needs 320 to win approval for the deal, and she’ll be working out what she needs to do to get there. 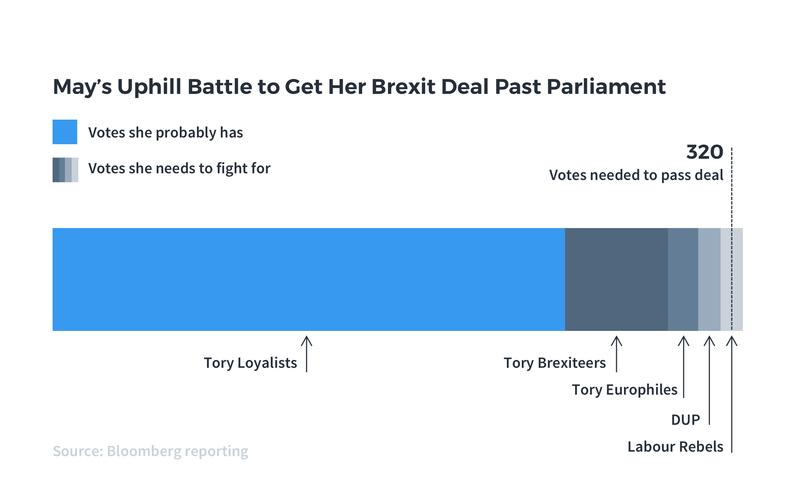 With Labour, the Liberal Democrats, the SNP and the Democratic Unionist Party saying they will vote against the deal, you can see the work May has ahead of her in the Bloomberg chart below. We can assume some Conservatives will rebel, but how the final voting will actually look is tough to call. Over the next two weeks we can expect May’s campaign to try and emphasise the benefits of this deal for the UK. No doubt she’ll be saying that this is the only deal available on the two-week campaign trail, and insist the UK needs to move on with the only deal in town. It’s notable that the DUP came out and said they opposed this Brexit deal more than Corbyn as Prime Minister. However, they might find they reassess their stance as May pulls out the big guns. For Brexiteers, she’s likely going to force their hand with the possibility that a no-deal Brexit means a no-Brexit. Can history teach us anything? Some believe we can draw parallels with Trouble Asset Relief Programme (TARP). Under the programme, the US government bought the toxic assets and equity from its financial situations in an attempt to strengthen the financial sector in 2008. The TARP bill was initially rejected by Congress in the first attempt by the US government to get it passed, but this prompted a violent reaction from the financial markets. After a re-think, Congress decided to go approve the programme. But will a similar story play out here? A rejection of the bill by parliament could trigger volatility in the markets, forcing parliament to accept the deal in the end. It seems reasonable to think history could repeat itself, but we will have a few unpleasant days along the way. Similarly, if you believed that a second referendum is really the right answer, maybe you keep pushing to get there. So maybe the TARP model works slightly differently. It brings down the government, prompts an extension of Article 50 (if that’s even possible) and another tedious attempt at negotiation. Nobody knows what’s going to happen, although we can all guess. Many expect the deal will be approved by parliament – at the first or second attempt. In the end, too many Labour MPs represent Leave-voting constituencies. You’d also assume that the EU leadership will work for May’s benefit this time – they surely have no appetite to prolong this break-up for any longer than absolutely necessary. If that base case proves correct, then we’d get some pick up in volatility over the next month or so, and probably a relief rally in sterling assets. And that raises an interesting question for 2019 – will UK equities be a big outperformer? But then there’s the alternative – hard Brexit over the cliff by accident. We’d view that, shall we say, as negative for UK assets. At Moneyfarm, we’re prepared for all possible outcomes. We’re constantly monitoring the political backdrop, adjusting our portfolios to reflect the evolving backdrop. Today, we believe the portfolios are in the best position to limit downside and capture the upside in the final Brexit scenario, based on the risk appetite of our investor profiles. 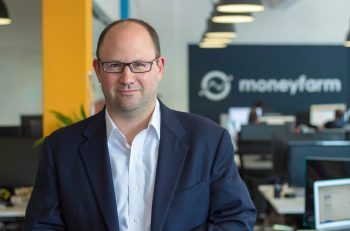 If you have any questions about the Moneyfarm Investment Strategy or the impact political uncertainty is having on your portfolio, please get in touch with one of our Investment Consultants, who are happy to answer any of your questions.